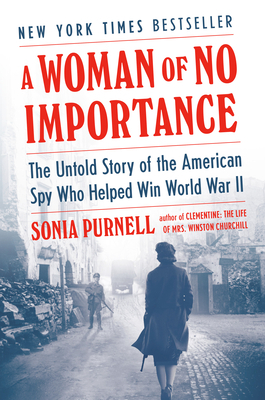 Sonia Purnell is a biographer and journalist who has worked at The Economist, The Telegraph, and The Sunday Times. Her book Clementine: The Life of Mrs. Winston Churchill (published as First Lady in the UK) was chosen as a book of the year by The Telegraph and The Independent, and was a finalist for the Plutarch Award. Her first book, Just Boris, was longlisted for the Orwell prize.